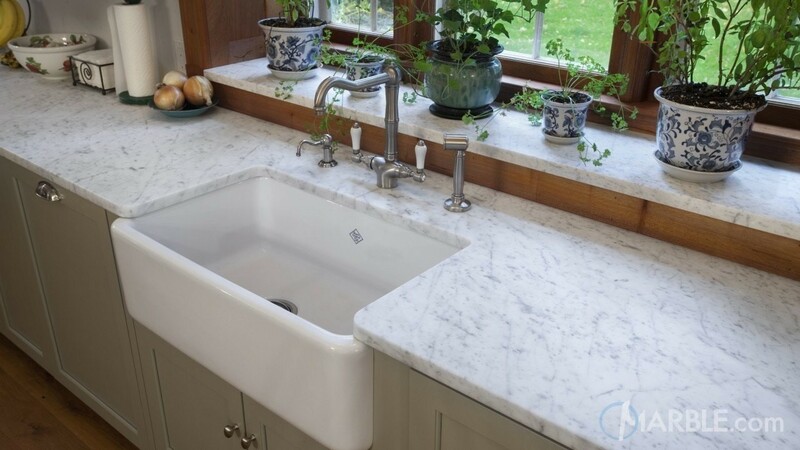 Granite and marble are our two most popular kitchen countertop options here at Marble.com. Both have their own unique advantage, which makes them coveted by homeowners, real estate agents, and interior designers. However, if you’re new to countertop shopping then you may be at a loss identifying the differences between both of these attractive countertops. Granite and marble are both naturals stone that come form the Earth, with the primary difference being how each is formed. To understand their differences, and why they’re stylistically different, we'll trace them back to how their produced. Granite is an igneous rock, formed when magma or lava cools over millions of years. It’s a grainy stone made from large minerals that fit tightly together. If you take a close look at this slab, you can see the different pieces that create its unique look. The speckled pattern you see is quite common among granite, though there are some slabs with veins or swirls as well. Because there are so many different minerals in nature, there are thousands of colors of granite available, in almost any design imaginable. Since granite is so durable and stain resistant, it’s best suited for fireplaces, bar tops, bathrooms, and of course, kitchen countertops. Unlike granite, marble is a metamorphic rock, which is formed when limestone undergoes tremendous heat and pressure. Marble is predominantly made of calcite, which is a softer mineral. This softness, combined with its smooth, veiny look adds to marble’s elegance and subtle, classic beauty. Because of its mineral content, marble is a more porous stone, and as such, is more susceptible to staining and etching. While it can be used as a kitchen countertop, it is better suited for quieter surfaces such as bathrooms, powder rooms, and hot tub surrounds. So, let’s recap the differences between granite and marble. 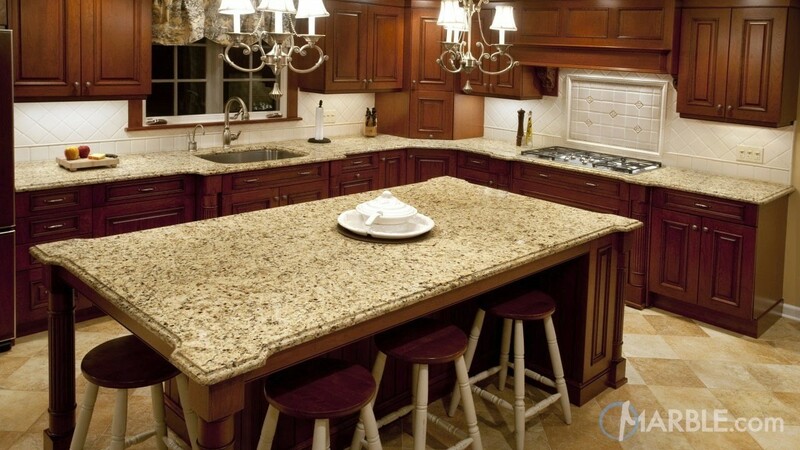 Granite is a grainy, igneous rock that is composed of many different minerals. Marble has a softer look, due to its high concentration of calcite. Marble is mostly available in light white or pastel colors, although there are some darker slabs available. It’s hard to find a color that granite does not come in. Granite is harder and more stain resistant than marble, which makes it perfect for fireplaces, bars, and kitchen counters. Marble is softer and more porous, so it’s better suited in a bathroom, or around a hot tub. 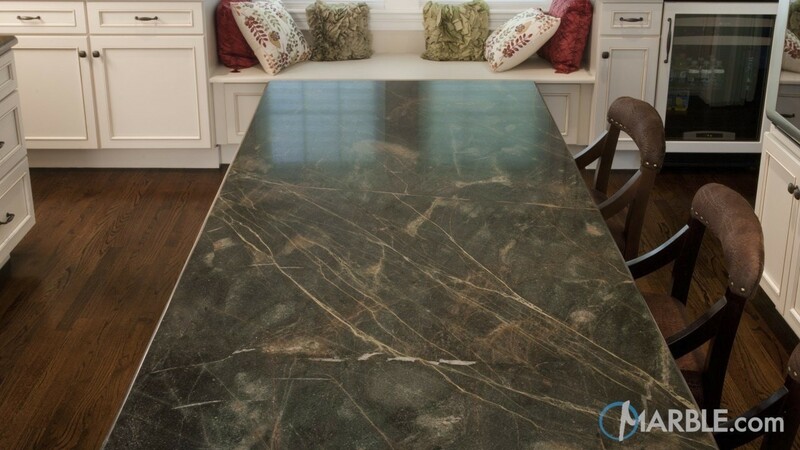 Finally, granite is typically speckled with many different minerals, while marble is usually veiny.